Hello friends! I am a young woman who has Asperger's, Anxiety and Depression and has the passion to inspire people. My personal interests include reading, making crafts, cooking, sports, music, TV, writing, spirituality, foreign languages, mental health, culture, and pop culture. I am certified in Crystal Healing and am working towards my Reiki certification. Feel free to email me at flanzraichtalia99@gmail.com for business inquiries. I hope you get something out of my blogs. Lets get to know each other! For those who don’t know me and for those who know me, one of my hobbies is foreign languages. I love foreign languages because I feel it’s beneficial for community living. If you have a friend who doesn’t know English or is learning English, its always an asset to know a second language. For example, f you have neighbours that speak Spanish and know very little English, it would be helpful for you to know Spanish in order to communicate with them. When I was six years old, I moved to Wilson and Bathurst and I found my passion for foreign languages, specifically Russian language. I remember driving by a pawn shop that was called RCA Pyramid (Дом Быта Пирамида). It was a privately operated pawn shop/tailor by an old couple that immigrated from Russia. I remember asking my mom, “What is that language”? She answered, “It is Russian”. I asked her, “Why are there so many Russian signs”? She answered, “A lot of Russians moved here to Canada”. That was the first memory that I still treasure in addition to many others from my childhood. I see many Russian signs and I ask my dad what the Russian alphabet is called. He tells me it is called Cyrillic. I once asked him why Russian has a different alphabet than the typical European language. He told me that some Slovak languages have a different alphabet. I have been seeing so many Russian signs until I finally take part in learning the Russian language and alphabet. It was like decoding a secret message at first, and then it developed into a typical language that anyone can learn. I started going to Russian deli’s and gift shops and reading the signs. I delved into the Russian language once I enrolled in middle school. I started talking to Russian schoolmates and I gradually made some progress with some mistakes. A few kids did not understand me. Some kids did not want to speak Russian with me because they wanted to embrace the English language. I would go to some Russian stores and the employees weren’t as welcoming with me. But that was the whole part of the journey. Many people were amazed and willing to help me reach my goal. I was starting to read articles, watch films and read books and it was part of the process. I also had a tutor and she was also experienced with teaching kids with disabilities which was a bonus. As I got older and entered high school, I lost pretty much all of my Russian and I kept practising on my own time out of school and in my neighbourhood. I practised with a couple Russian staff members and one of my teachers spoke Macedonian so she was also amazed and could relate. I never stopped learning Russian and being passionate about the Russian culture just because I went to high school with no Russian students. It stayed with me and I started noticing tremendous progress with grammar and reading during my senior years of high school. Facebook and social media also helped as I was following my Russian friends on social media. Russian will always stay with me until I die. I lived in a Russian community and I will always treasure it. I live in Richmond Hill now, so it’s even better. I can practise on a regular basis. If people aren’t so welcoming, that’s okay. I have other people and that’s great. My message to you is, follow your passions that you are going to treasure for the rest of your life. You will always encounter people who don’t agree with your interests and don’t always support your hobby choices. Find other people who have similar passions as you and connect with them. Be positive. Don’t let your challenges and differences stop you from following your dreams. I wish you a good week. Spread the love and happiness! Do you suffer from food addiction? Do you have problems controlling your binges? Are you or your kids fussy eaters? If yes, this blog is perfect for you. For those who don’t know, I have suffered from food addiction pretty much all of my life. When I was four years old, I would never eat anything except for ice cream, chocolate, cake, chicken nuggets, grilled cheese, mac and cheese and french fries. I started gaining weight when I was about 5 years old and my mother was the first one to notice it. Growing up, I did not know what a food addiction was. No child understands what an addiction is until they get older. I got bullied and was called fat by schoolmates and people in the community throughout the youth. It bothered me at first, but then I started to embrace my weight because it was a part of me. I never had issues with body image. I was only worried about losing weight and dieting because doctors and family members have reprimanded me to lose weight and eat healthier. I was not physically and mentally ready to lose weight. Stress was one of the big factors to my food addiction and weight issues. Other factors included self-esteem issues, anger problems, bullying, anxiety, Autism, depression and grief. I had to manage my stress and anger gradually, so I can better maintain my food addiction problems and lose weight. I had to better understand grief, so I can make better choices next time I grieve. It was a gradual process; I did not work on this overnight. In fact, I am about 220 lbs and am still working on losing weight and overcoming food addiction. I give myself time and learn about various foods I can eat and I complement it with fun exercises and meditation. It is starting to work, but I still have work to do. Addiction problems of any kind can take a toll on our health and well-being. We cannot control our addiction problems unless we are ready. Some people have addiction problems but don’t think it is an addiction problem. If someone were to smoke a pack of cigarettes or eat a box of oreos a day and not care about it, it means that they don’t feel it is an addiction problem. The truth is, that does count as an addiction problem which will require professional counselling and medical intervention. It is also critical to inform someone your trust, so they can help you work through the problem. Often times, we are not always accepted for our addiction issues because people don’t understand. So in those cases, find someone you trust so you can feel understood and accepted. Regarding fussy eaters, kids are most likely fussy eaters. Not all of them are, but the majority of them are. Parents struggle with getting their kids to eat healthy in those cases. Parents often give in because they don’t want their children to be angry or feel like they don’t love them. It often happens. Kids will throw massive temper tantrums until they get the food they want. To overcome food addiction and fussy eating, below are pictures and videos to provide insight and tips for yourself and your loved ones. For those who are spiritually inclined and rely on the Bible on a regular basis, read up on these Bible verses. Checklists and trackers can help for those who function better through visuals and written logs. This is another strategy to choose from. If you read these questions, you will start to better reason with your problems and make better choices. Okay parents! This one is for you! The website is below on the bottom right side of the picture. Good luck educating your children on healthy eating! Stress is a big killer! I have stress, so we can all work together to manage our stress for our health! It’s impossible to stop the stress. We can only maintain our stresses in the moment. 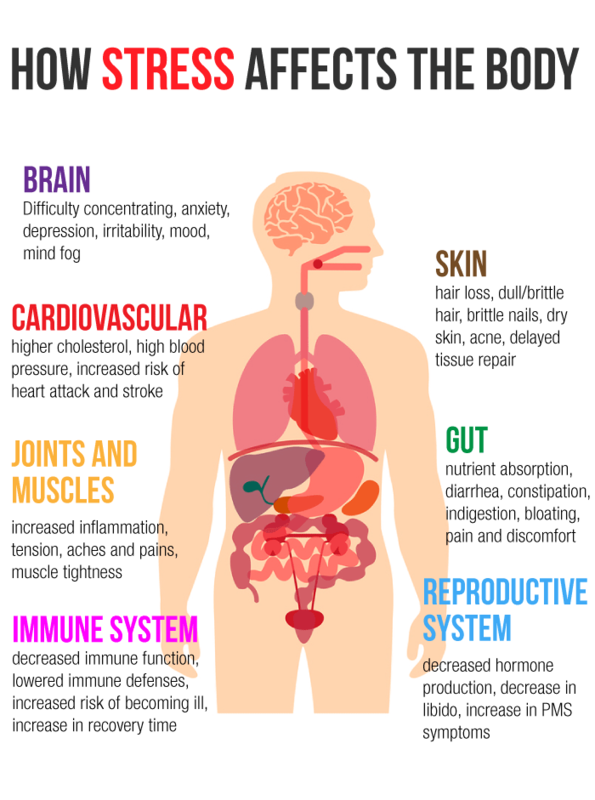 Here are some pointers to give you a better understanding of stress and health. This can help you manage food problems as well. I hope you enjoy reading this blog. I wish you nothing but health, happiness, success and joy to your families and loved ones. Thank you so much for reading and hope you learn something new. Who works long hours? Who suffers from chronic stress and depression? Who needs to find joy and peace in their lives? Self-Care is one of the best ways to reduce stress and anxiety. It will also help you become a better, productive person yourself. You will be able to perform your job better. You will be able to socialize with people better. Your relationships will be stronger. You will do better in your studies (if you are a student). Many people leave things to the last minute and have constant stress regarding assignments, deadlines, exams, bills and other things we have to commit to as adults. You don’t have to spend a fortune to be the happiest person. It can be something simple as watching your favourite movie on a Friday night. It can be spending time with your loved ones. Anything is possible. Here are ideas to get you started! Enjoy your weekend. As I’ve learned, food can play a big role in mental health. The more unhealthily we eat, the more harmful our mental health will be. If you guys suffer from severe anxiety or have other mental health issues you need to overcome, a change in your diet is your first resort. Think about what healthy foods you enjoy eating and stick to those. Eating should be enjoyable, but in a healthy way. Figure out a way to cook your favourite foods. Enjoy them with friends and family. Out of all these options on this list, pick which ones you enjoy and stick to those. You will feel more peaceful and happy once you change your diet. You will also lose some weight and get the chance to buy clothes from your favourite stores! Hello friends! My name is Talia. I am a 20 year old woman living with a dual diagnosis of High Functioning Autism and Anxiety Disorder. I have a passion for helping people all over the world achieve their goals and dreams as well as influencing people through speeches, writing and discussions on WordPress. I am a friendly and outgoing person who will have a lot to tell you. I have a huge interest in books, music, disability rights and various cultures. Whether you are a newcomer to Canada, you have a mental health issue or a challenge you need to overcome, you all have the right to feel accepted for who you are! Let’s do this together!